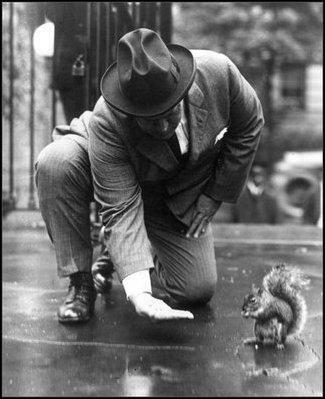 Secretary of the Navy Denby pictured here trying to feed Harding’s pet squirrel, Pete. Calvin Coolidge was a master of deadpan. Will Rogers once noted that Coolidge expended more wit on unsuspecting people than anyone else he knew because he would not give away the joke. The person either got it or did not. The satisfaction to Calvin was in the delivery not the response. A chuckle in response to his humor was sufficient to any joke. The humor afforded by a squirrel was a different matter. Colonel Starling recounts the first time he heard Coolidge laugh aloud, when he recalled one of their walks. The President “was smoking a cigar, and as we approached the gate he took it from his mouth and flipped it to the lawn–he never smoked while walking outside the White House grounds. 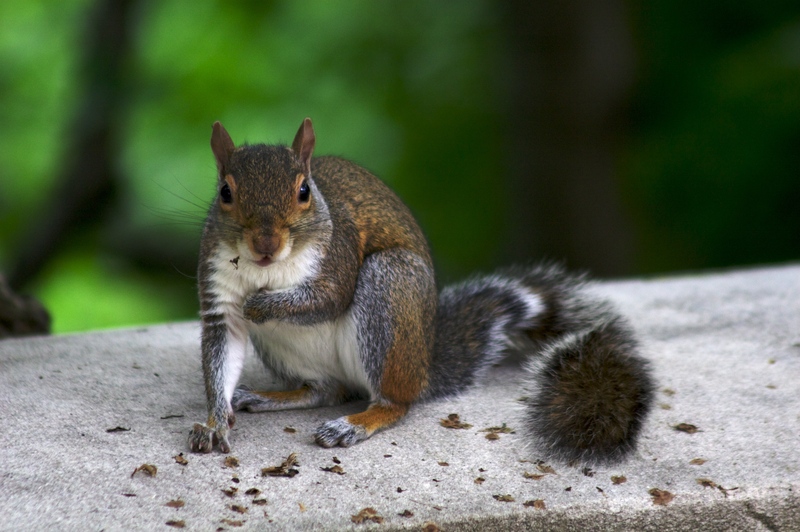 The cigar struck the ground in a shower of sparks just in front of a squirrel, who jumped straight up in the air. He turned before he hit the ground. In a moment he was up a tree and out on a limb, where he sat staring at us in surprise and disappointment. His look of disillusionment was almost human. The President laughed until he had to hold his sides” (Starling of the White House, p.209).